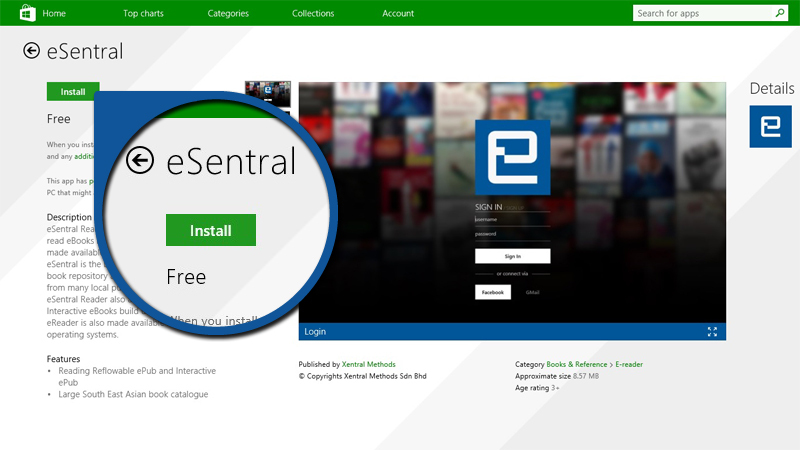 eSentral.com is an online portal, everyone can access the portal without having an account. However, in order to purchase any eBook, you need to own your eSentral account. Opening an eSentral account is an one-time registration process. Your account will be synchronized with the web portal as well as eSentral mobile applications so it is advised that you should keep your information private. 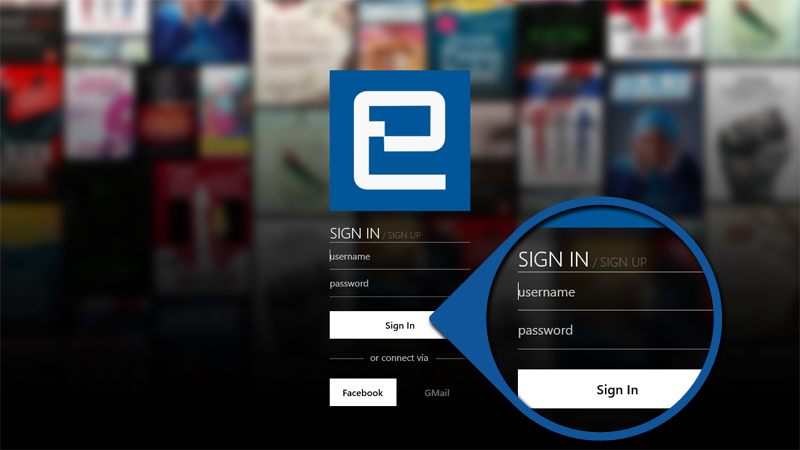 There are 2 ways to own your eSentral account: via eSentral portal or via Facebook. 1. 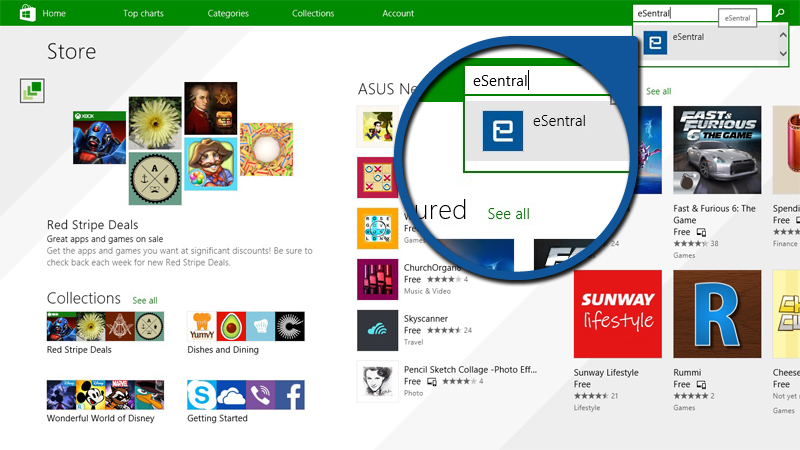 From E-Sentral homepage, click Create Free Account. 1. 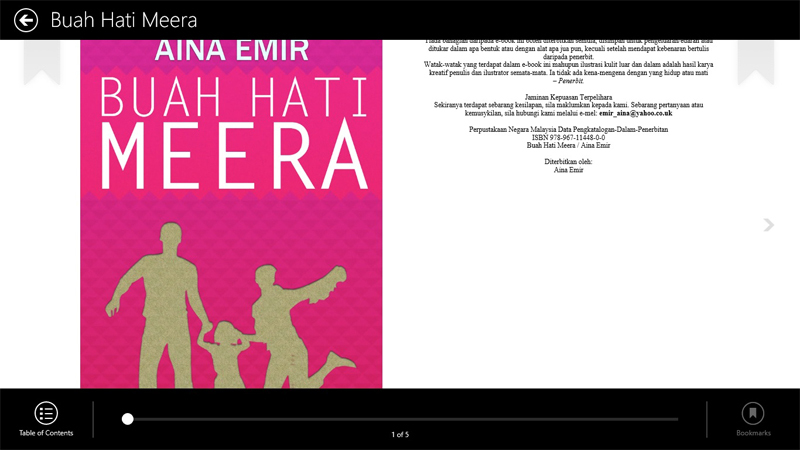 From E-Sentral homepage, click Sign in. 3. Enter your email address and password then click Log In. You will be logged in and automatically redirected to E-Sentral`s portal. 1.1. Via eSentral application - enter your username and password to log in. 1.2. Via Facebook - you will be redirected to a Facebook pop-up page where you need to enter your email address and password to log in. 6. To close your eBook, double tap and click Close. 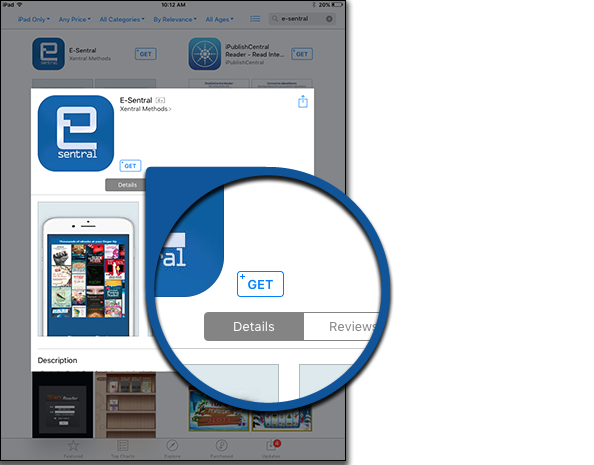 E-Sentral`s application will remember which page you last read, so you can immediately start from the page where you left. 1. There are 2 options which can be used to login to E-Sentral app. 1.1. Via E-Sentral`s Username – enter your username and password to log in. 1.2. Via Facebook – you will be redirected to a Facebook pop-up page where you need to enter your email address and password to log in. 1. 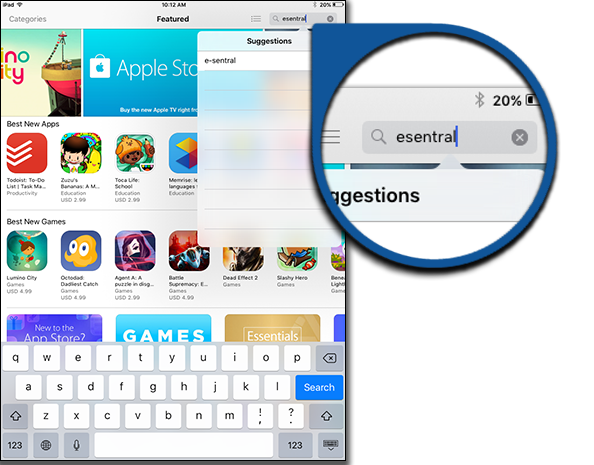 You may find eSentral application under "Apps". 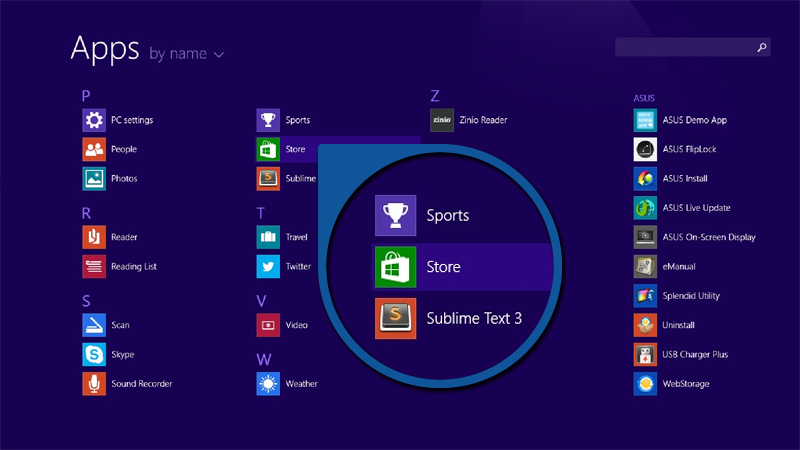 Right click and choose "Pin to Start" or "Pin to Taskbar" for easier access through either Start Menu or Taskbar. Tips: In Surface, you have to do a long click until the options appear at the bottom of the screen instead of right click. 2.1. With your user ID – fill in your username and password then click "Sign In". 2.2. Via Facebook – A new window leading to Facebook will pop up. 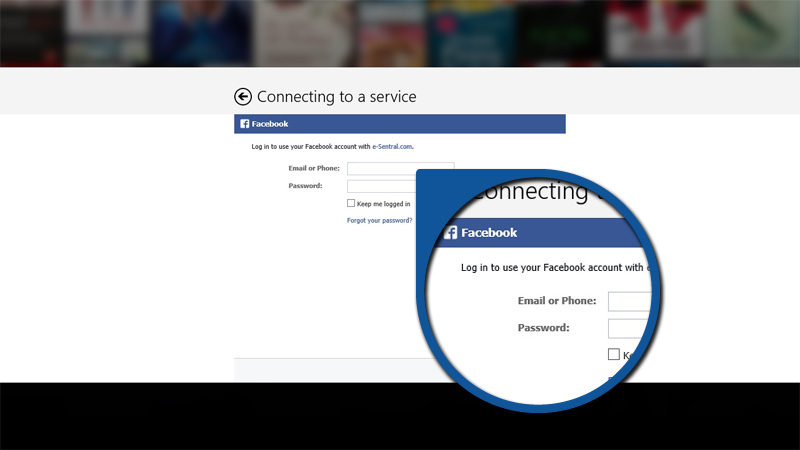 Fill in your Facebook details there and click "Log in". 2.3. Gmail – Coming Soon! 1. The first time you use the app, you will be greeted by our welcome screen. 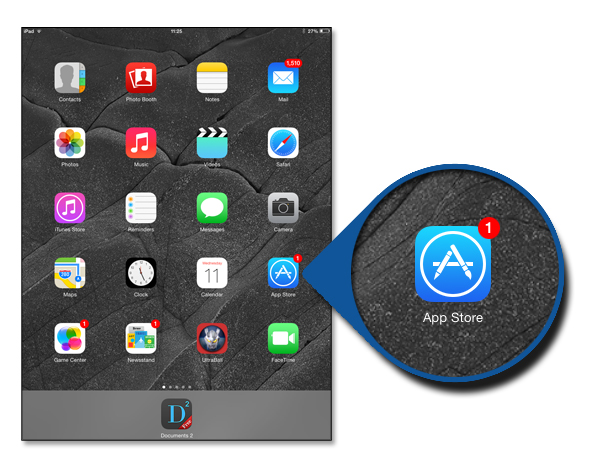 Here you may learn how to navigate through the application by swipe / tap arrows to go through the lesson. You can also find it back in Guide. 2. 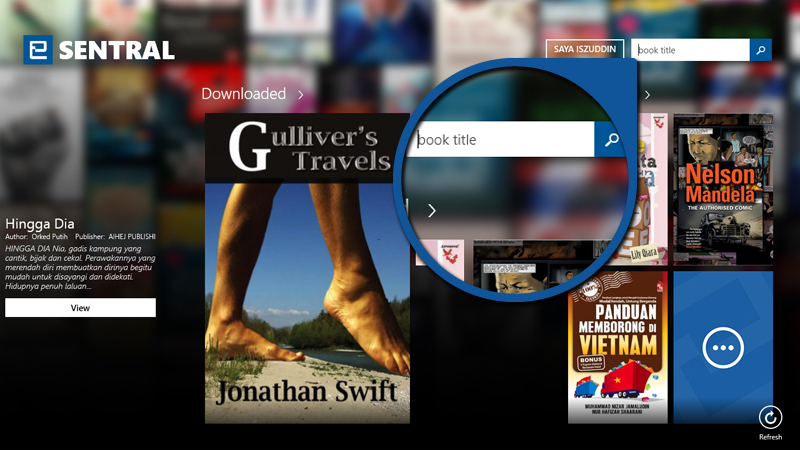 We have three sections in aiding you to find, download and read your books. 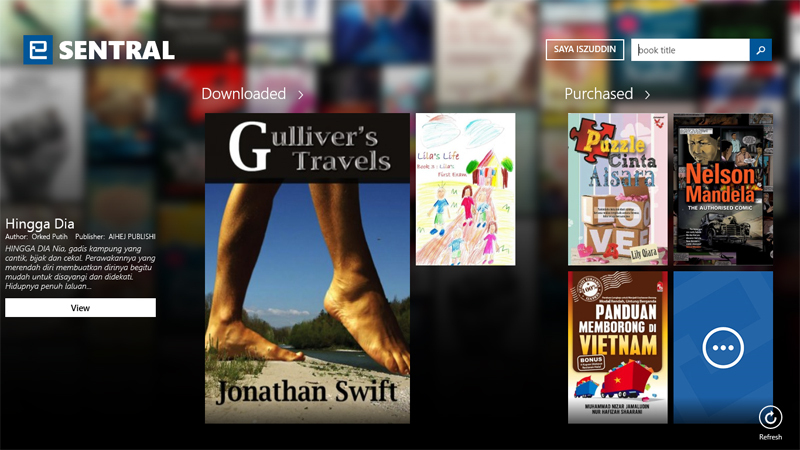 2.3 Purchased Hub – Books which have been purchased. 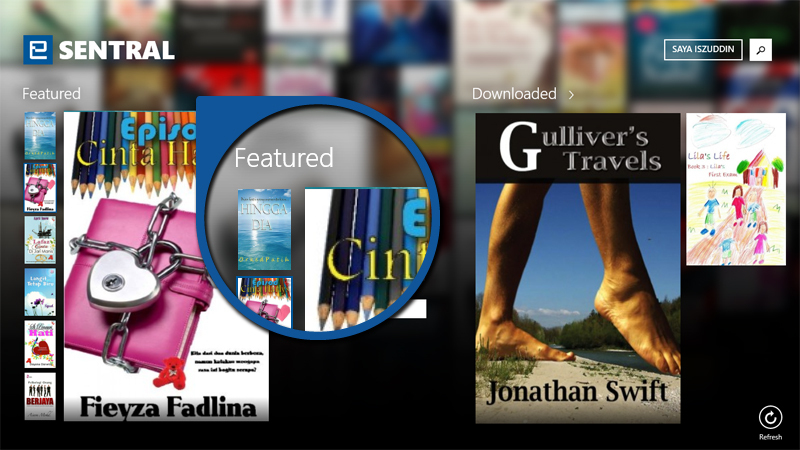 Note that to read it on your app you have to dowload these books first. 3. 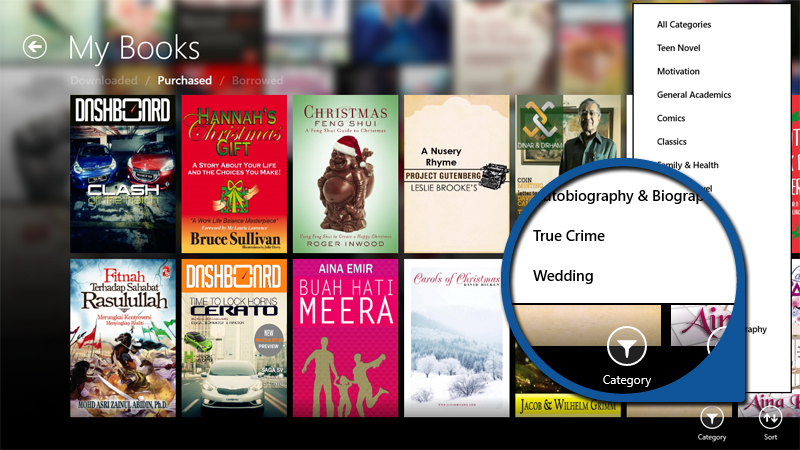 To quickly find books from any list, you can use the search bar on the top right hand corner. 1. Click on "Purchased". It will show all the books which have been purchased so far. 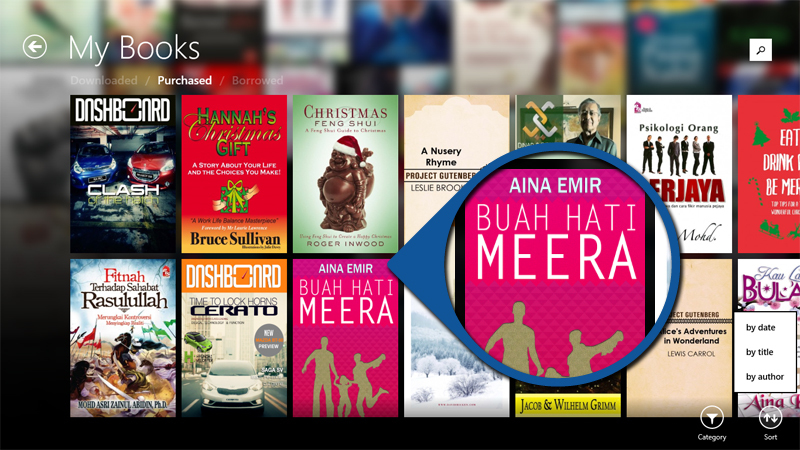 Swipe through the books to find books you wish to dowload. 2. If you just purchased the book and it has not showed up, click "Refresh". 3. 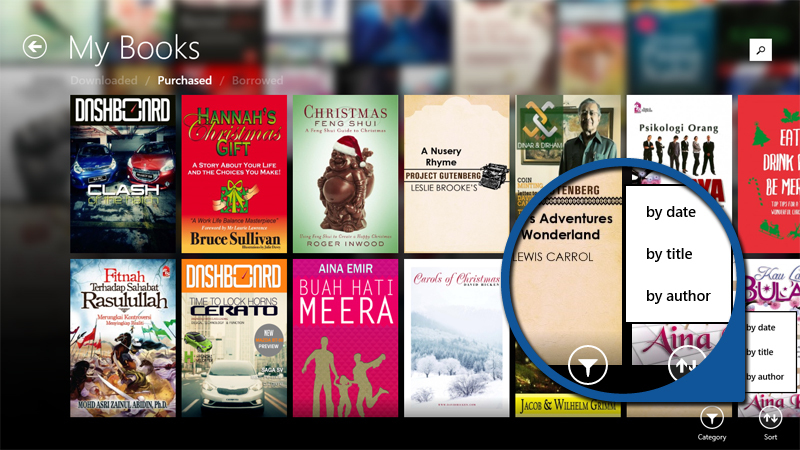 You may sort your books with the Sort button available at the bottom-right corner of the apps. Sorting can be done according to: by date, By title and By author. 4. You may also sort by Categories by clicking on "Categories" button on the left of "Sort" button. 5. 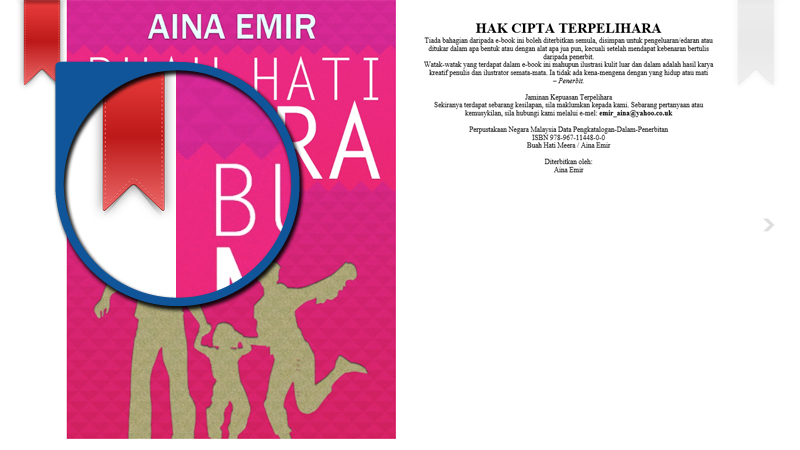 Once you find it, click on the book. 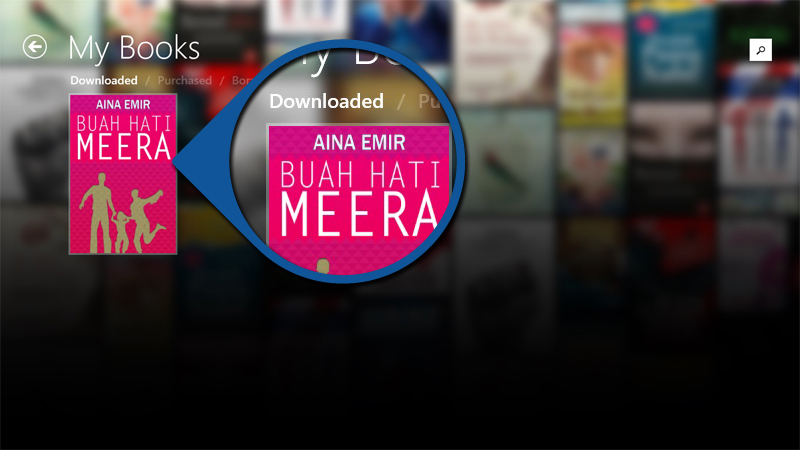 For example, we will download Buah Hati Meera. 6. You may notice the book will be missing from the "Purchased" section and the word "Downloading" will appear. This means the book is currently being downloaded. 7. Once the word "Downloading" has disappeared, the downloading process has completed. 1. Click on "Downloaded". It will show all the books which have been downloaded. 2. Click on the book you wish to read. 3. To read your book, you may tap on the arrows or swipe to move between the pages. 4. You can right click to pull up the page navigation tool. Use "Table of Contents" when you are reading books that are very lengthy in pages and/or have numerous chapters. Drag the sliders if you want to skip few pages. 5. To bookmark the pages, click on either of the ribbons on the top left or top right of the screen, depending on which page you wish to bookmark. 6. If you want to read other books, press right click. An arrow will appear on the top left of the screen. Click on the Arrow to go back to "Purchased" section. 1. Click your name at the top right of the screen. 2. The button will reveal choices to "Logout" and "Deactivate". Q I have deactivated my account. 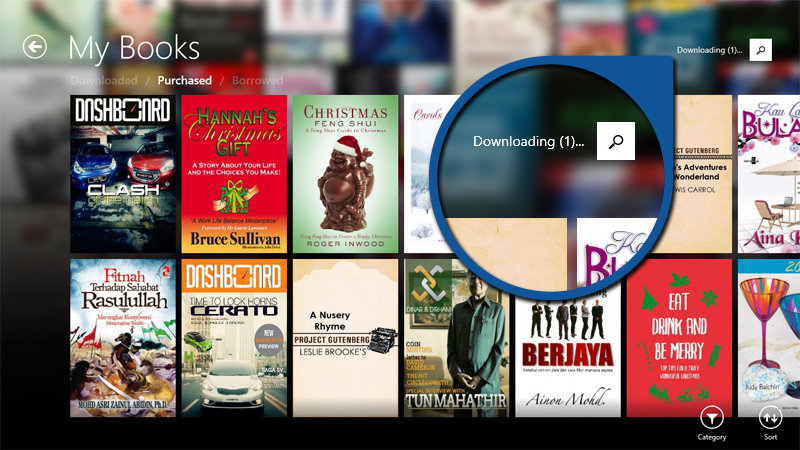 What will happened to my downloaded book? A You will not lose your books. The books will be back on the "Purchased" section. Q I have purchased a book and downloaded it. 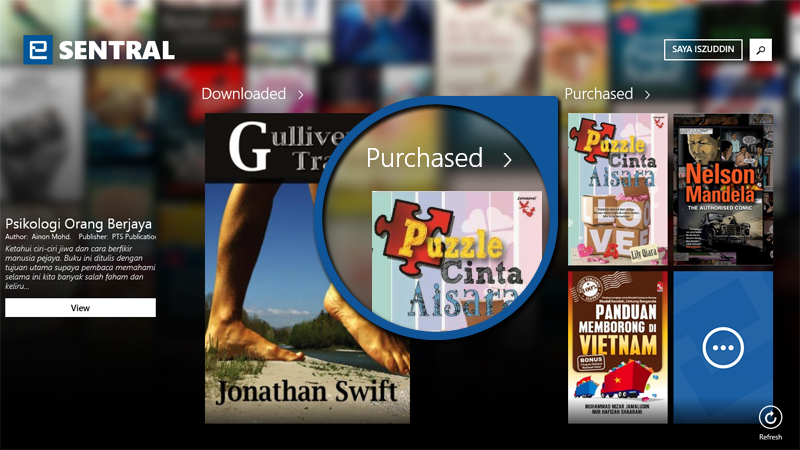 However, when I opened it, there is an error message then the book is gone from both "Purchased" and "Downloaded". What should I do? 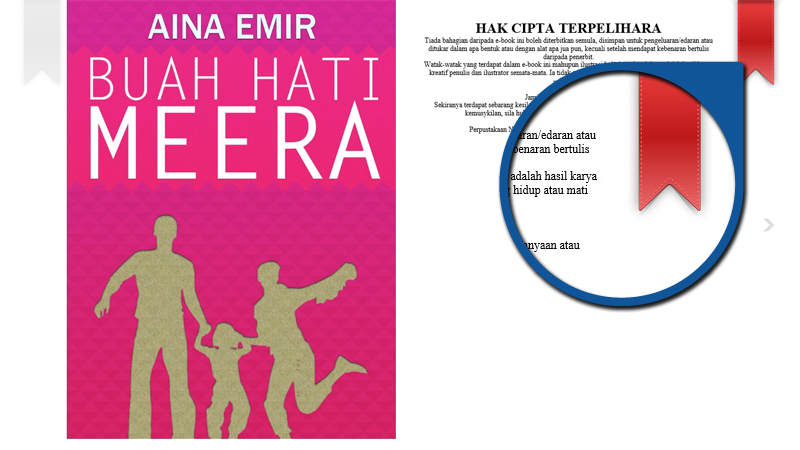 A Report this to our support at support.e-sentral.com together with the receipt number as your proof of purchase and the name of the books. We will double check the purchase and give your book back. 1. Via eSentral application - enter username and password to sign in. 2. Via Facebook - log in eSentral using Facebook account. Once you are in eSentral application, follow these steps to begin reading.